This December for a limited time we are back at our Pop – Up Restaurant in Cardiff Bay’s Iconic Corys Building (Located at the top of Bute Street on the cross roads towards Cardiff Bay. CF10 5AJ) every Friday and Saturday evenings from 6 – 10pm. 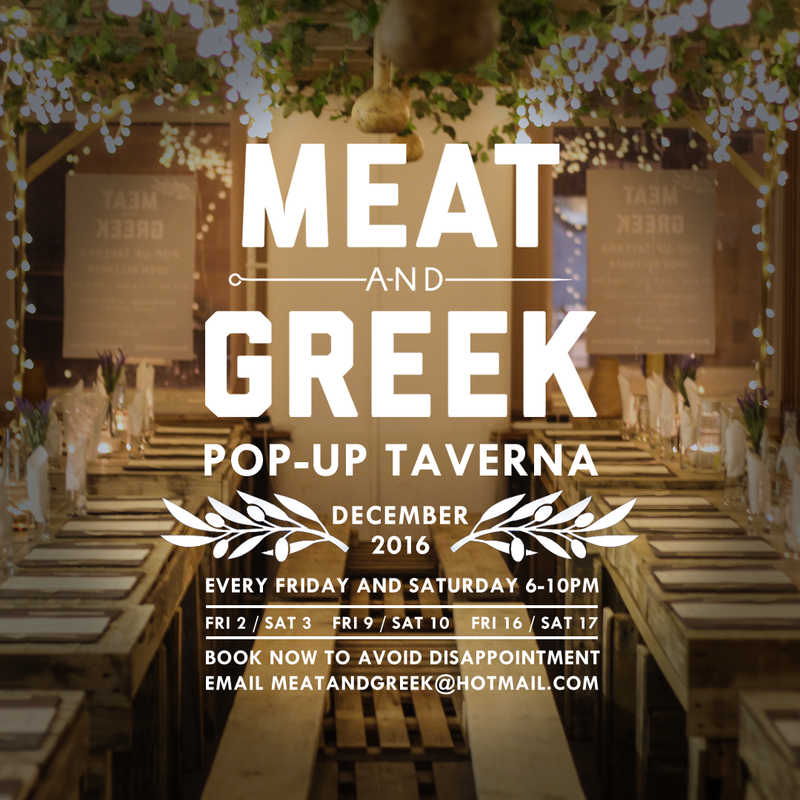 Email us to book – meatandgreek@hotmail.com (walk in’s will be subject to availability). Get into the festive spirit and have a couple of Ouzo’s with us! OPA!